is a Research Professor (Directeur de recherche) in political sociology at the Centre européen de sociologie et de science politique (Université Paris 1-Sorbonne / CNRS). After graduating in political science at Sciences Po Paris and in law at the Sorbonne, he has received a Ph.D at the European University Institute (Florence). He has been a post-doctoral fellow at the American Bar Foundation (Northwestern University), a Marie Curie Fellow at the Robert Schuman Center, and a Visiting professor in a variety of universities (Copenhagen University, Columbia University, the Luiss in Rome and the International institute for the sociology of law in Spain). Over the years, he has engaged in critical sociology of law, researching extensively fields such as international courts, judicial politics and lawyering in relation to transnational politics and the European Union. 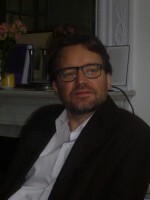 His publications cover a variety of disciplinary fields including law (European Law Journal, Law and Social Inquiry), sociology (American Journal of Sociology, International Political Sociology) and political science (European Political Science Research, Revue française de science politique, etc…). Recently, he has authored a monograph providing a renewed narrative of Europe’s legal integration (L’Union par le droit, Paris, Presses de Sciences Po, 2013 ; an English-speaking version is forthcoming at the Cambridge University Press this fall) and an edited volume on the transnational field of European law with Bruno de Witte Lawyering Europe. European Law as a Transnational Legal Field (Oxford, Hart, 2013). During the course of the fellowship, Antoine Vauchez will be developing new strands of interdisciplinary research on how transnational legal fields and international courts are inter-connected, shaping and informing each other. Bringing critical sociology of law in contact with the study of international justice, the research tests new methodologies and new empirics to bear on a comparative history of international courts’ paths to social and legal authority. Drawing from a variety of case-studies (the 1920 formation of the PCIJ, the 1960s’ ECJ ‘legal revolution’, the 1995 creation of WTO Appellate body, etc…), the research explores the mutual dependence of international courts and their related communities of lawyers. Their authority, it is hypothesized, is highly dependent upon their capacity to generate continuous support from a variety of lawyers who will authenticate their legal accomplishments, act as vigilant custodians and defend their legitimacy against a variety of external criticisms. Relatedly, the project will explore how legal entrepreneurs and networks can become ‘neo-functional interest groups’ providing legal rationales for new spill-overs beyond the black letter of international treaties as well as interpretative communities playing an active role in co-defining and co-producing the courts’s own ‘jurisprudence’ and ‘institutional identity’.